Brandon Heath's music possesses a pop/rock sound with inspiring Christian based messages. His music is influenced by his hometown of Nashville, TN. Most of the music that inspires him today is made by Nashville musicians like Ryan Adams, Josh Rouse and Matt Wertz. 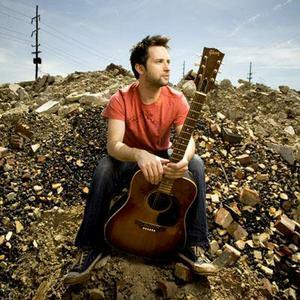 Brandon Heath currently perfoms around America ministering through his music. He began playing guitar and writing songs at the young age of 13. At that age it was thoughtful songwriters like Sting, Shawn Colvin and David Wilcox who inspired him the most. Later on in his life he started hanging around/perfoming at the Bluebird Cafe (The legendary Nashville hotspot), where he eventually was signed. Give Me Your Eyes was one of the most successful Christian songs of 2008 and its success continued into 2009. The tune won the Song of the Year and Best Pop/Contemporary Recorded Song at the 2009 Dove Awards. It spent 14 weeks at #1 on Billboard's Hot Christian AC radio chart, and 27 weeks at the summit of the iTunes Christian Song Chart. Speaking with Songfacts about the song in a 2011 interview Heath said he never foresaw the song's success: "I remember the day that we wrote it, and I had a good feeling about it," he said, "Sometimes when you write, you think, yeah, I can see this working at radio, or I can see this really sticking in people's heads. But the fact that there were sermons written after it, people went on missions trips. And as far as I know, I think it's the first song in the history of my record label to go gold, as far as a single. That's way, way beyond my expectations for that song. But it's been great."